While on the Eurostar to Rotterdam for Traverse, I tallied up the number of times I’d passed through Brussels…without actually seeing the city itself. It worked out to be a crazy 9 times! That’s 9 whole times I’ve seen the inside of Brussels’ airport and train station – and yet I’d never once ventured into Brussels itself. I couldn’t let that rocket up into double figures, so things had to change. With a semi-flexible train ticket in hand, Sophie and I decided to forego our final day in Rotterdam in favour of spending an afternoon in Brussels before our return Eurostar train. With just a few hours to play with and zero research/money, we actually managed to see and do a heck of a lot. 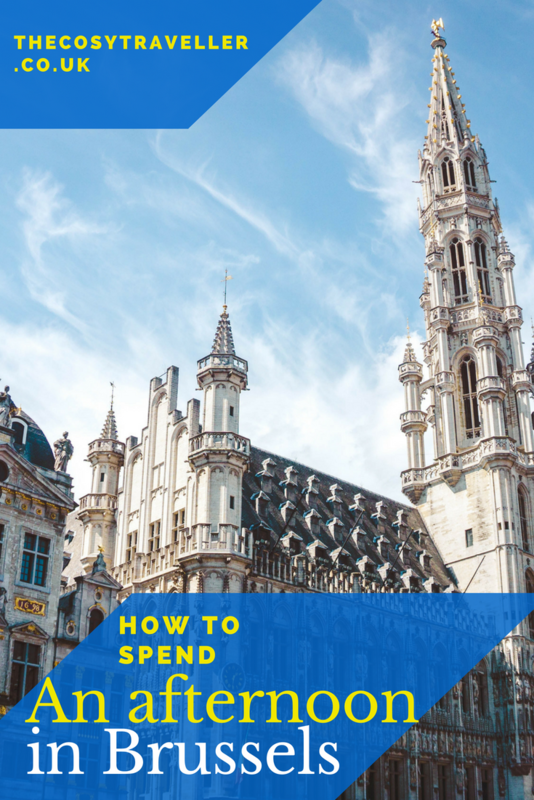 An afternoon in Brussels definitely won’t allow you to see everything, but it’s most definitely doable if you ever find yourself transiting through the city. Here’s what we got up to, and how you can do it too! 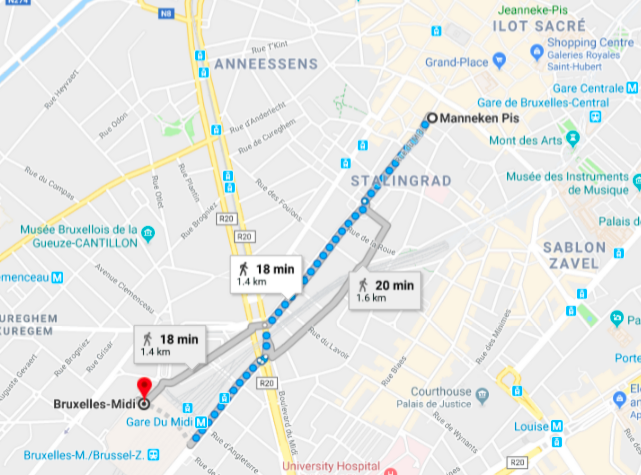 From Bruxelles-Midi station, it’s just a 20-minute walk to the main sights. Top tip: if you’re travelling with a lot of luggage, consider leaving your bags in a locker at the station. Soph and I managed to squeeze a carry on suitcase, a holdall and a jacket into a small (but deep) locker for just €4.50. There are also larger lockers for larger suitcases, although they will cost a few euros more. Once you’re luggage-free, amble straight down Avenue de Stalingrad to start your sightseeing afternoon. Each week the Manneken Pis is dressed in various outfits, ranging from Dracula to judo gear. Apparently he’s got around 1,000 outfits, which definitely puts my wardrobe to shame! After a photo taking sesh we followed the winding street round to one of the most iconic squares in Europe – La Grand-Place. It’s a UNESCO World Heritage Site in its own right, and its opulent buildings had us snapping away for absolute ages. 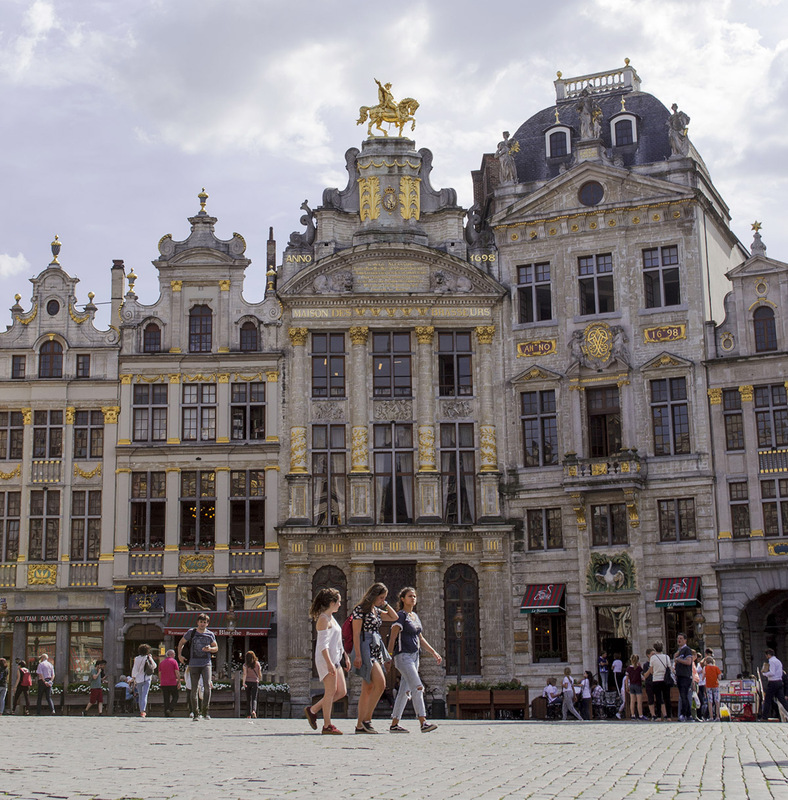 Stand in the middle of the square and you’ll be surrounded by the city’s town hall, the Museum of the City of Brussels, and various grand houses. If it’s a warm day, I’d definitely recommend doing what we did and popping into the Häagen-Dazs store around the corner. 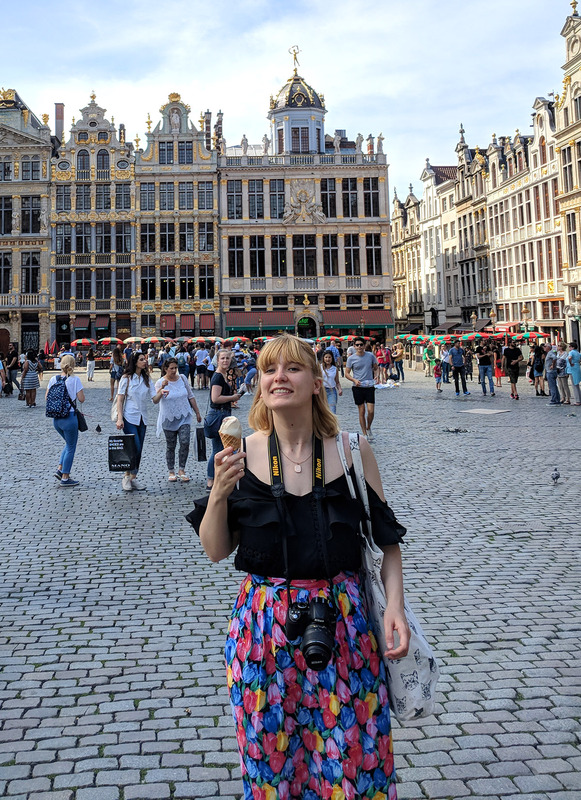 For €4.50 we got a double scoop of ice cream on top a cone; I plumped for one scoop of lemon sorbet and another of dulce de leche, before we sat down on a curb in La Grand-Place. 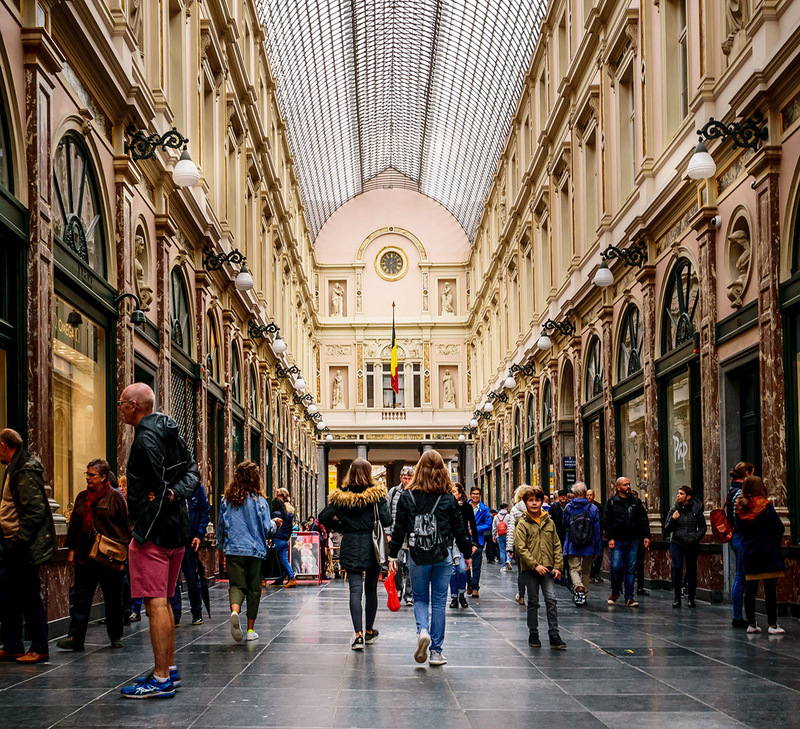 Right by the square is Les Galeries Royales Saint-Hubert, an undercover shopping centre which is worth a stroll down even if you’re trying to watch the pennies. But beware, the sheer number of chocolate shops lined up one after the other will have you reaching for that credit card faster than you can say “praline”. Talking of pralines, make sure you stop by the chocolate shop Neuhaus within the Galeries. It’s here that the first ever praline was invented! Following a wander around the quaint cobbled streets, we decided to walk over to Mont des Arts, a name that wasn’t overly familiar to me but which Soph assured me was one of the key sights in Brussels. From the top of the steps we got some gorgeous views out over the gardens and Brussels’ rooftops. By this point we were so shattered from the 29°C heat that we sprawled out in the shade on the steps while we tried to figure out where to go next. 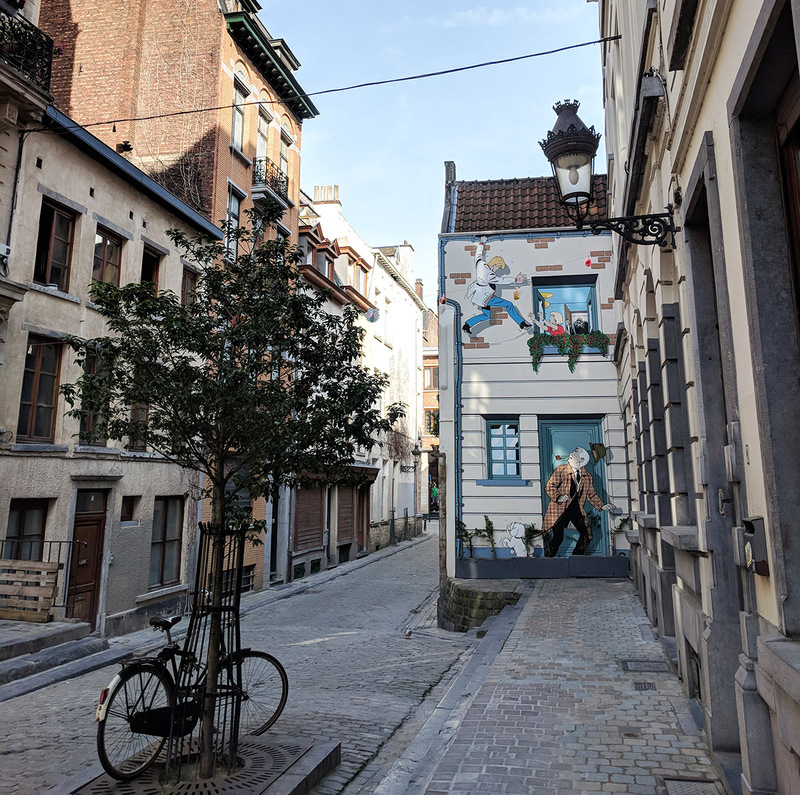 Here’s where our cultural sightseeing afternoon in Brussels sort of ended… Because the one thing we were dying for more than anything? A Coke Zero filled with ice. And being the cheapskates (and poor little flemings) that we are, we found ourselves, uh, chilling in a McDonald’s around the corner from La Grand-Place for a half hour. After a good few hours of traipsing round in the searing heat, I don’t think we could have asked for anything more! Our train wasn’t until 7:52pm, but we set off for the station around 6:30pm so that we could collect our luggage and check in with plenty of time. Be warned though: be prepared to leave extra time for walking around the city. 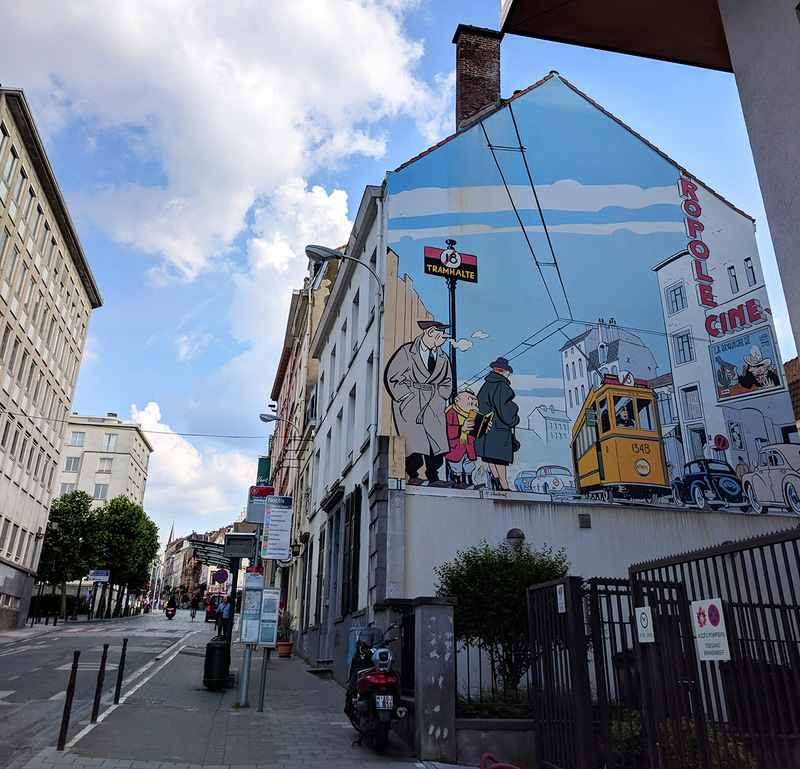 With murals on the side of buildings and Tintin art everywhere, you’re going to want to stop and photograph everything! 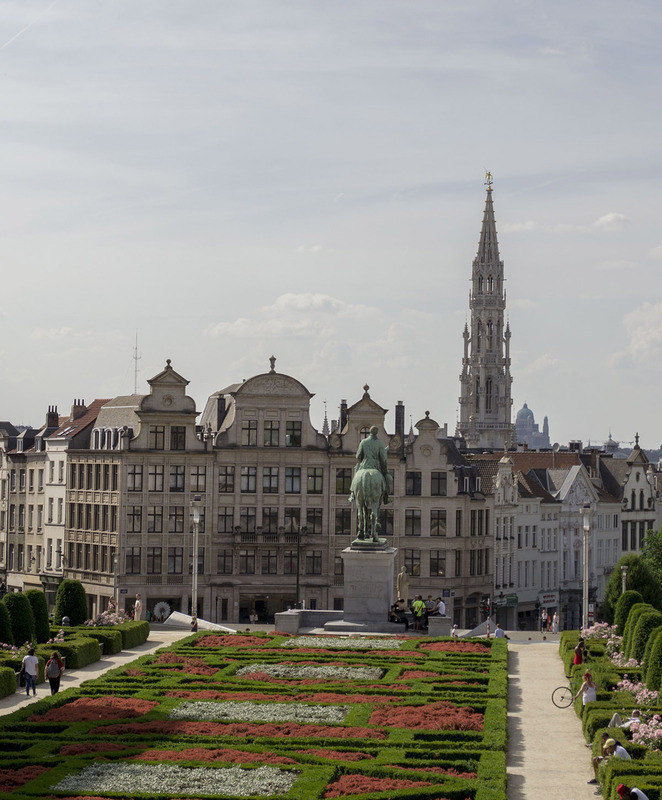 An Afternoon in Brussels: Is It Worth It? 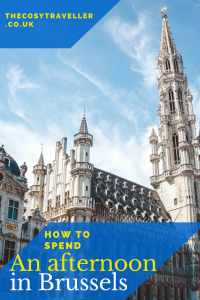 4 hours in Brussels is better than none at all and, as we found out, it’s also a pretty good amount of time to allow you to see a few of the city’s sights at a leisurely pace. There are definitely more things I’d like to see when I return. The Atomium, for instance, which is a little outside the city centre. I’ve got a real feeling that my boyfriend would love the mix of fries, beer and Tintin, so it’s very likely that we’ll be returning very soon! 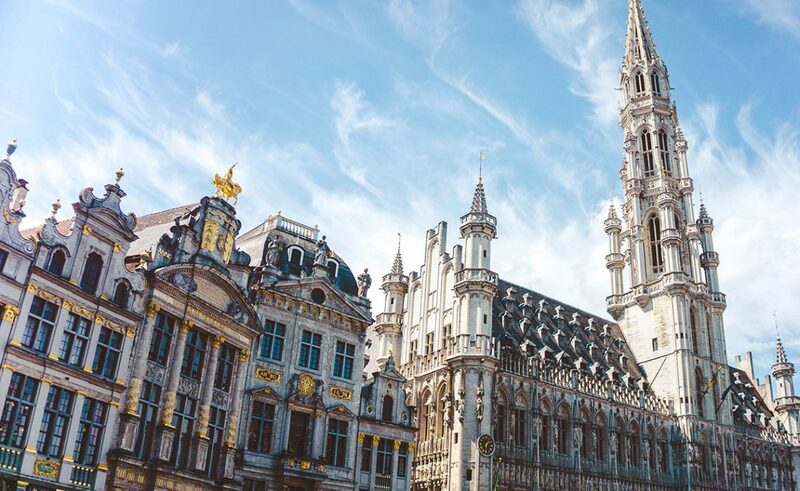 Have you been to Brussels before? Is there anything you’d recommend seeing while there? I loved Brussels and I think it’s highly underated as a city break destination! Chocolate, mussels, frites and beer… that’s four of your five a day right there! The Atomium is worth a visit too, and of course it’s also a great base for trips to Bruges and Ghent. I definitely think you should return for a weekend!